Don't you have anything better to do than complain about peanuts and mice and rats in Revelstoke. Rats and rodents play a big ecological role in our bucolic town. Rodents are a source of food to large predators, seed spreaders, soil aerators, fungus distributors. Neuroscientists have even uncovered evidence that rats "laugh". When happy, apparently, they emit a series of ultrasonic chirps, rather like children. Everybody needs more laughter in their lives. It is humanity’s own fault through failing to take responsibility for how we have transformed the world in ways that favour certain rodent pest species. Rats are just reincarnated teenagers. The favourite foods of city-dwelling brown rats include scrambled eggs, macaroni and cheese and cooked corn. 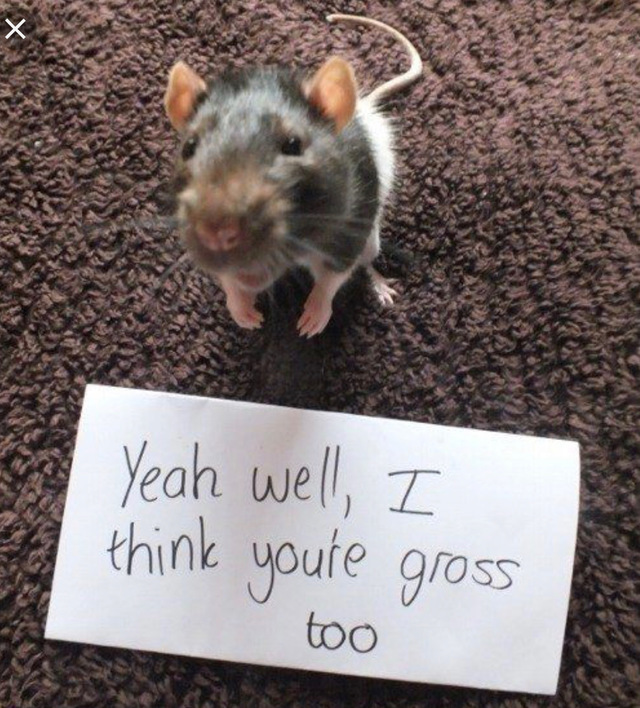 AND rats eat their own feces, purely for the nutritional value. How awesome is that? When was the last rat attack in Revelstoke? Did you get chased down Downie street by a rat? Did a loved one die of Black Death caused by a rodent? People are the worst kind of rats. Let these key players in our ecosystem do their thing. Don't report any rats. A reported rat is a dead rat.